The miner said a number of parties are interested in the assets and it is "actively pursuing options to exit." Shareholder Elliott Management has campaigned for strategic changes at BHP including the sale of its shale operations. It comes as the company reported $5.89 bn (£4.56 bn) annual net profit. BHP said on Tuesday that it deemed the shale business "non-core" and was exploring options to offload the assets. Chief executive Andrew Mackenzie said a number of parties are interested in acquiring its onshore US oil and gas operations, but would not name the price the company is seeking for the assets. BHP's entry into US shale came at the peak of the fracking boom in 2011. A slump in oil prices slugged the business and forced a $7.2 billion write down last year. BHP chairman Jac Nasser, who retires this year, recently conceded a $20 bn investment in shale six years ago was a mistake in hindsight. Analysts have suggested the business could sell for about half that in today's market. New-York based fund manager Elliott Management had been agitating for a sale or other form of divestment of the US shale business. The activist shareholder's publicly campaigned for a series of other changes at BHP, including the elimination of dual-structured Australia and London stock listings, and higher shareholder returns. 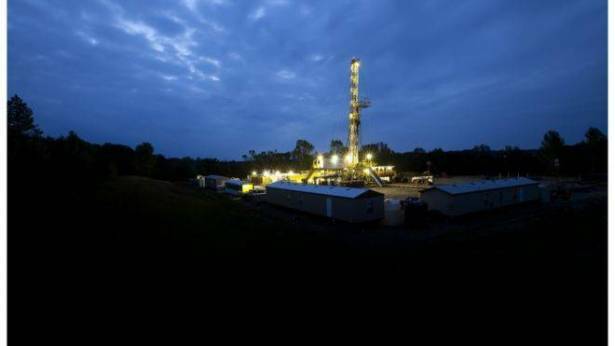 Plans to sell its US shale operations came as the global miner posted an annual net profit of $5.89 bn, following a record $6.39 bn loss a year earlier. The result was slightly below analyst expectations. The miner tripled its final dividend to $0.43 a share, which was also shy of expectations. The Anglo-Australian firm, like other miners, has benefited from a rebound in industrial metals prices after a slump caused by supply gluts and economic slowdown in China. China is the world's biggest buyer of commodities.